Some critical vulnerabilities have been reported in Apache Tomcat, which can be exploited by malicious people to bypass certain security restrictions and cause a DoS (Denial of Service) attack. 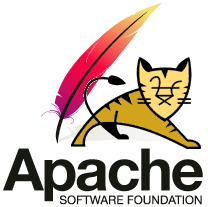 These vulnerabilities affect Apache Tomcat 6.x and Apache Tomcat 7.x . According to CVE-2012-4431 , The CSRF prevention filter could be bypassed if a request was made to a protected resource without a session identifier present in the request. CVE-2012-4534, DOS includes vulnerabilities ranging from excessive resource consumption (e.g. causing a system to use a lot of memory) to crashing an application or an entire system. Whereas, CVE-2012-3546 - where malicious users or people can bypass certain security mechanisms of the application. The actual impact varies significantly depending on the design and purpose of the affected application. Tomcat 7.x: Update to version 7.0.32. Tomcat 6.x: Update to version 6.0.36.